Gretzky and Warhol: What Led to the Creation of The Great One’s Most Famous Portrait? What do Campbell’s soup, Marilyn Monroe, Wayne Gretzky and boxes of Brillo pads have in common? They’re all subjects of Andy Warhol’s art. In 2017, the Canadian Museum of History acquired one of Warhol’s Wayne Gretzky prints as part of its acquisition of the Mike Wilson and Debra Thuet Ultimate Leafs Fan Collection. This print is one of six images revealed by Warhol in 1983. The six Gretzky paintings were the only pieces Warhol had ever done that featured an athlete. They were commissioned by Frans Wynans, a British Columbia art collector who promised a Wayne Gretzky Warhol painting to a buyer. Almost miraculously, both Warhol and Gretzky agreed to the idea. The pieces were painted in Warhol’s New York studio, and Wynans was in attendance when Gretzky met Warhol for the portrait. According to the stories that Wynans shared, a series of events almost prevented the artworks from being completed. First, Gretzky was three hours late because he got stuck in traffic on the way to the studio, and Wynans and Warhol thought he wasn’t going to show. When Gretzky eventually arrived to sit for the piece, neither of them had a hockey stick available for the portrait. Luckily, Wynans had noticed a sports store across the street from the studio, so he hurried over and asked to borrow a stick. When Wynans explained that it was for a portrait Andy Warhol was creating of Wayne Gretzky, and that these famous men were waiting across the street, the store workers were skeptical. Wynans had to bring Gretzky outside to prove that he was really there and did need a stick for a portrait by Andy Warhol. Finally, they were granted the stick, and Gretzky could sit for the portrait, hockey stick in hand. At the time he met Gretzky, Warhol had returned to his roots, making newspaper advertisements. In the same period, he worked with artists such as Jean-Michel Basquiat, Francesco Clemente and Keith Haring — all important figures in the art world. 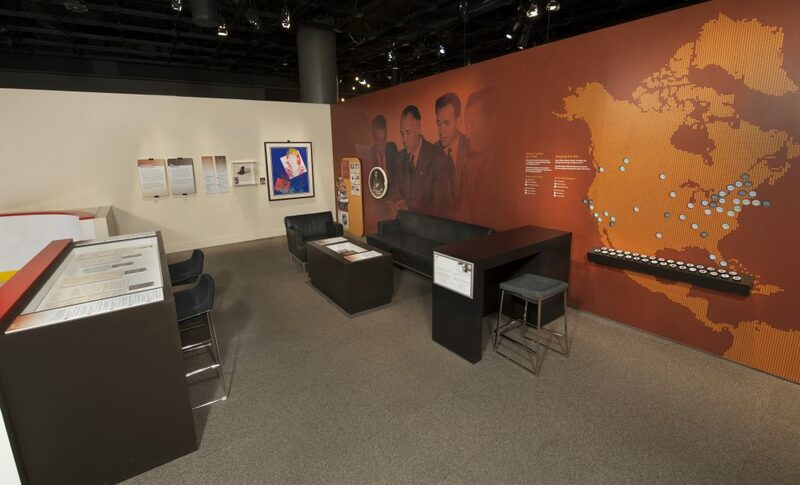 These partnerships continued his interest in collaborative work, which he had developed and experimented with at the height of his factory era, setting a foundation for his later works, in the late 1970s and early 1980s. This was Warhol’s most prolific period, during which he created more artworks than he had in the rest of his years combined. At this time, Warhol became interested in the concept of art and value, and this was explored through all his works, including his pop art prints, films and sculptures (e.g., Brillo Box). He was also interested in celebrities including Marilyn Monroe and John Lennon, and politicians like Mao Zedong and Ronald Reagan. Warhol explored the ideas of fame and power, and the ways they are gained, and used. Gretzky was one of these celebrity subjects — a man of great fame, success and power in the hockey world — though he was only in his early twenties at the time. 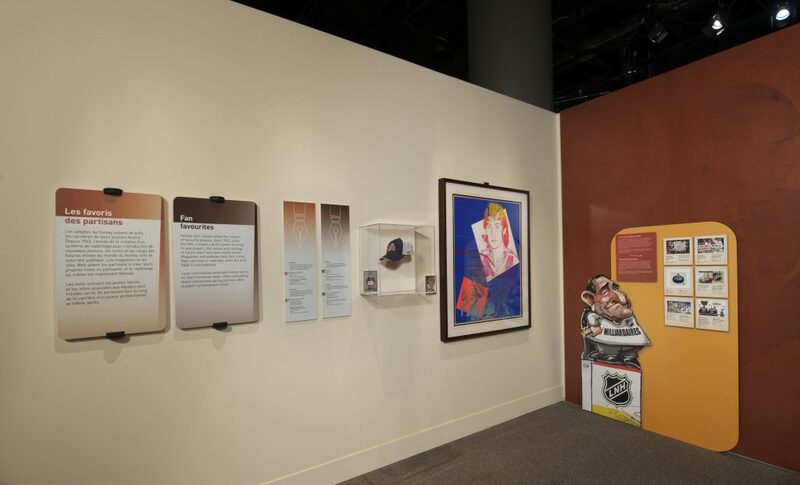 When the Gretzky portraits were revealed in 1983, they were quickly bought by art collectors from around the world, both because they featured a renowned contemporary athlete and because they had the prestige of being Warhol pieces. 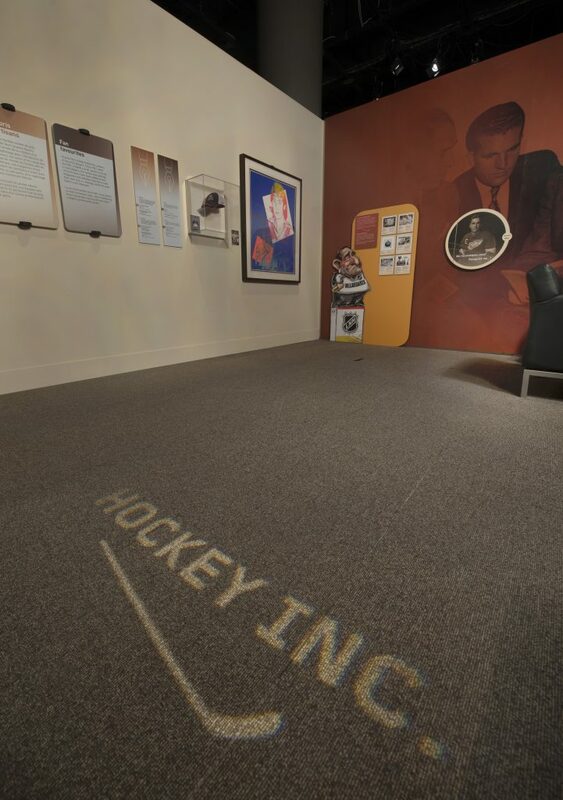 This Gretzky was featured in the Canadian Museum of History’s Hockey exhibition; a version of this exhibit is currently travelling throughout Canada.